The girls took me out for breakfast at Harry's in downtown La Jolla first thing this am. For exercise we walked the 3.5 miles down the hill to our destination. Madison & Yaylor traveled mostly in the two child stroller. The hill is so steep Dana has a tether strap to the stroller around her arm when walking the hill. If something happened at least we wouldn't have a run away stroller getting into a catastrophe of some kind. 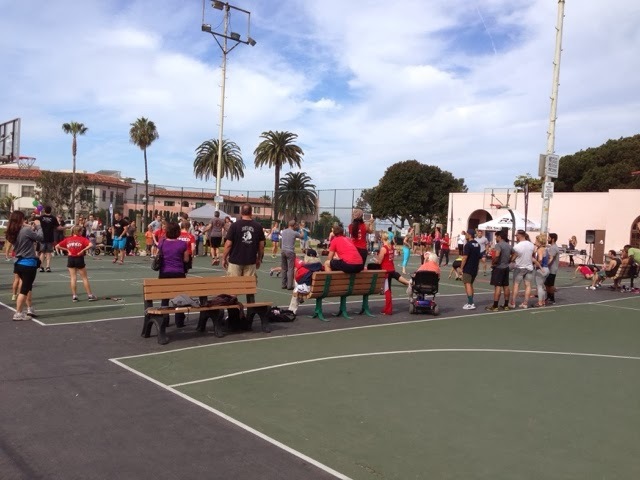 We went to the recreation park downtown La Kolla for the girls to pay. When we got there the American Heart Association had a fund raising event with teams doing exercise events. 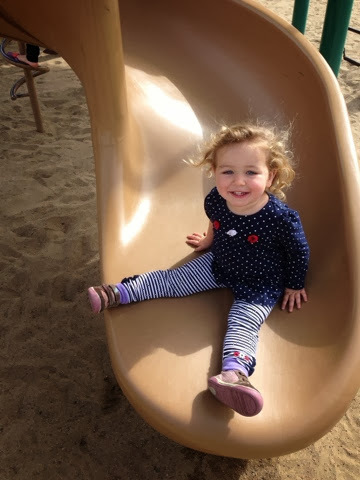 Taylor is quiet but loves playing in the playground. Her face says it all about the slide. 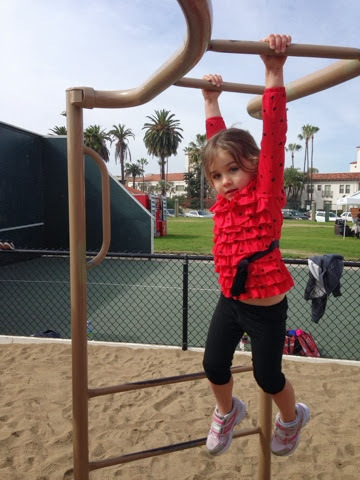 Madison on the other hand is not shy or quiet and loves the monkey bars. 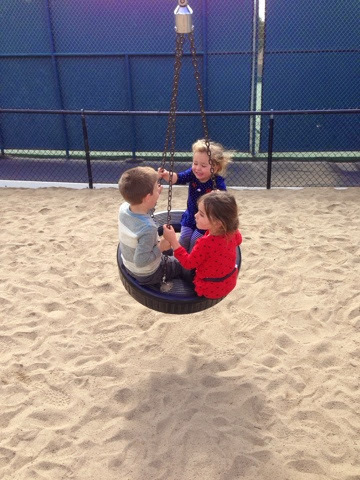 Jacob, a boy about the same age as Madison, became friends with her and even picked a dandilion and gave it to her and later joined the girls on the tire swing. 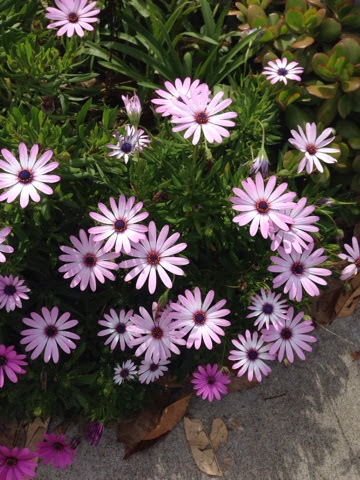 There are so many flowers around here. Here are some on our walk home up the hill. 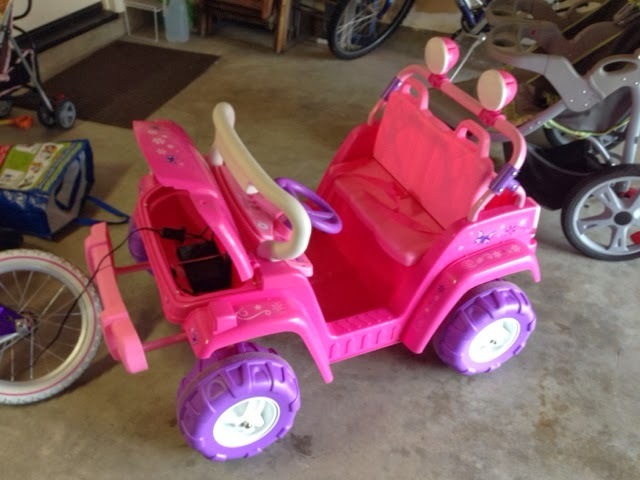 When I got back I learned that the girl's electric car was not working. A bit of troubleshooting got it working. Now to get it fully charged. 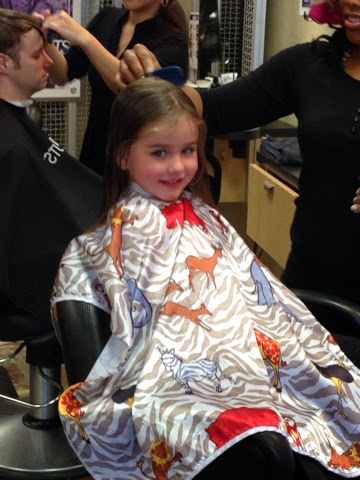 Madison doing fine with her haircut. 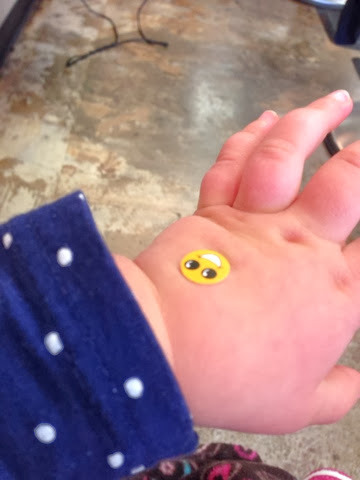 Taylor got in the hairdresser seat for her hair cut and was scared and cried so she came to sit with me and they gave her a sticker. I needed to entertain both girls by watching nursery times on YouTube while Dana had her hair cut. When we walked out of the Supercuts Dana said look at the clouds and I put myself I a spot to get this photo of the Church of Jesus Christ of the Later-day Saints. 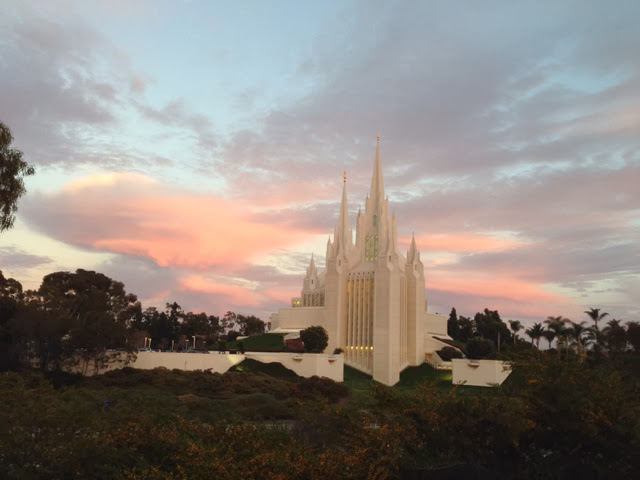 The sun was setting and projected the color on the clouds behind the church.